SALE: 30% OFF! Treat yourself to the adventure of a lifetime and cross 1/3 of the world on the legendary Trans-Siberian railway in 17 days. This specially tailored small group tour includes high-comfort accommodation both in 1st class train cabins onboard a private train car and in best central hotels, tours of all the main highlights with the country's top guides and premium service. Moreover, to make the journey even more all-embracing you can extend your journey to St. Petersburg and Beijing as well. OPTIONAL EXTENSIONS: THIS SMALL GROUP TOUR IS IDEALLY EXTENDED EITHER TO ST. PETERSBURG OR BEIJING OR BOTH. CONTACT US FOR DETAILS. Welcome to the gorgeous capital of Mongolia - Ulan Bator! Your driver meets you at the airport and transfers you to your centrally located hotel for check-in. Optional pre-tour extension available: Begin your journey with an exploration of Beijing and spend 4 days exploring this Chinese gem. Contact your travel specialist for details. After breakfast you check out from your hotel, meet your guide and explore the legendary Mongolian Buddhist Gandan Monastery in Ulan Bator. You then depart from the capital and in about 1.5 hours arrive to the camp and enjoy traditional lunch. Later you take the tour of the picturesque Gorkhi-Terelji National Park and visit its most popular attractions, including the famous Turtle Rock and the Aryabal Temple located on a steep hill. At the entrance to the temple’s grounds there is a long walking path leading to the set of 108 steep stairs that symbolize the elephant’s elongated trunk. You can rise up to the temple and enjoy the magnificent view of surrounding valleys. In the evening you enjoy a 1-hour pony riding and have dinner at the camp. You spend this night in a traditional Mongolian yurt. Following breakfast at the ger camp you meet your guide and start the day with a visit to a nomadic family to learn more about their culture, authentic lifestyle and traditions. You continue to the banks of the Tuul River where an iconic 40-meters tall equestrian statue of Genghis Khan is located. During the tour you explore the interiors of the statue, see a replica of Genghis Khan’s legendary golden whip and walk through the chest and neck of the statue's horse up to its head. At the top you enjoy an excellent view of the complex area and the surrounding scenery. After a break for lunch you make your way to the famous Zaisan Hill which offers the best panorama of Ulan Bator and then to the cashmere factory where you learn how raw materials are being transformed into thread and then into clothing. 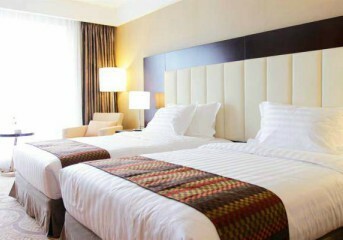 After the tour you are transferred to your hotel in Ulan Bator for check-in. In the evening you attend an amazing Mongolian folk show at the National Academic Theatre of Opera and Ballet (the show venue is located within the walking distance from your hotel). After the show you are invited to the restaurant to have dinner with your fellow travelers. After breakfast, you check out from the hotel and have the morning at leisure. After lunch, you meet your guide in the hotel lobby and go on an exciting walking city tour around the most interesting attractions of Ulan Bator. During the tour, you visit the National Museum of Mongolia, one of the leading museums in the whole country and the one which is responsible for preserving Mongolian cultural heritage. You also stroll along the main streets of the city, see the Parlament house and walk through the central Sukhbaatar Square formerly known as Genghis Khan Square. After the tour, you continue exploring the city center on your own. Later the same day you are transferred to the train station where you board your train and start your amazing journey across Eurasia! Today you arrive in Irkutsk, informally known as "Paris of Siberia" for its rich architecture and colorful life. Upon arrival, you are transferred to your hotel located on the shores of Lake Baikal. The rest of the day is free. After breakfast, you take a day trip to the open-air museum of wooden architecture located in Taltsy Village. This reconstructed Siberian village consists of a number of buildings that were threatened with flooding when the Irkutsk Dam was constructed on the Angara River. All the buildings at the Taltsy museum were rescued from the rising waters and brought here to serve as models of Irkutsk regional architecture. After lunch at a local restaurant, we invite you for an exclusive experience - a private 3-hour cruise on Lake Baikal. Together with the guide you board a ship that takes you to one of the first Baikal railroad stations. After you get ashore, you walk to the tunnels of the old railroad and take magnificent pictures. On the way back you relax on the open-air deck with a cup of hot Siberian tea and local candies, listening to the stories about the life of locals. After the cruise you return to your hotel and have the rest of the day free. Following breakfast you check out, meet your guide and driver and enjoy a guided tour around Listvyanka Village. During the tour you visit the Baikal Limnological Museum and Aquarium that houses an interesting display of the unique flora and fauna of the lake. Then you take a chair-lift to the nearby viewpoint to take some magnificent panoramic pictures of Baikal, view the Chersky Rock and visit the 19th century wooden St. Nicolas church and spend some time at a local fish market where you see a great variety of fish and different ways of cooking it. After the tour, you say "Good-bye" to Lake Baikal! You are transferred to Irkutsk where you check in at the centrally located hotel and have the rest of the day free. After breakfast, you check out from your hotel and have the morning at leisure. After lunch, you meet your guide and driver in the hotel lobby and have a guided tour of the most remarkable city's attractions. You first walk along Angara River embankment - the most popular meeting place among the locals - to an eternal flame and the monument to explorer Yakov Pohabov, the founder of the city. You proceed to the only Catholic Cathedral in Irkutsk, the beautiful Polish Roman Church, located in the historical part of Irkutsk. You are then driven to one of the main monasteries in Siberia - Sigh Monastery that's also known as the Znamensky Monastery. You also explore the Kazan Church, which with its Byzantine-style decorations looks like a fairy tower, and Block 130, the historical zone with many colorful wooden houses and buildings constructed in the 17th century. After the tour, you are transferred to the train station to continue your journey further to Ekaterinburg. You spend this day on board the train enjoying fantastic scenery passing by your window, accompanied by of your fellow travelers from all over the world. Today you arrive in the capital of Ural Region. Your driver meets you at the train station and transfers you to your centrally located hotel for overnight. After breakfast you meet your guide and driver and enjoy a guided sightseeing tour around the most remarkable city landmarks. During the tour you take a walk through the historical city center, visit Ural Craftsman Lane where you can buy some traditional hand-made souvenirs, see the magnificent architectural ensemble of the Rastorguev - Haritonov’s House and take a trip to the famous Europe-Asia monument where you can happily experience being at two places at once putting one foot in Europe and the other in Asia. The second part of your tour is dedicated to the last days of the Russian Imperial Family. You visit the Church on Blood built on the site of the notorious Ipatiev House, where the last Russian Emperor, Nicolas II, and his family were executed by the Bolsheviks in 1918. The last stop for today is the first burial place of the tsar’s family - the Monastery Complex “Ganina Yama” that now consists of seven chapels - one for each member of the royal family. After the tour you return to your hotel and have the rest of the evening free. Following breakfast you check out from your hotel and your driver takes you to the train station to continue your Trans-Siberian journey. You spend this day on board your train enjoying the fantastic scenery passing by your window. In the evening your train arrives in Kazan - the beautiful capital of the Republic of Tatarstan and the center of Tatar culture in Russia. Upon arrival your walk to your centrally located hotel for check-in and overnight. After breakfast you meet your guide in the hotel lobby and enjoy a panoramic city tour around the most prominent attractions of Kazan. During the tour you see the main treasures of the Kazan Kremlin, including one of the largest mosques in Russia - the Qol Sharif Mosque, the leaning Soyembika Tower, the Annunciation Cathedral and the Governor's Palace. You are then in for a little surprise. Your lunch program includes a cooking master class where you learn how to make a traditional Tatar dish. Later you continue your tour to the Kazan Family Center located on the bank of the Kazanka River. The unique form of the building reminds a huge cauldron. Note: this program day is not included in the 2020 small group tour itinerary. Following breakfast you check out of the hotel and meet your guide and driver who take you to the island of Sviyazhsk to enjoy its amazing architectural heritage. Along the way you have a stop at the famous Temple of All Religions - the unique complex that consists of several cupolas, minarets and spires representing the architecture of 12 major religions of the world. Upon arrival at Sviyazhsk you enjoy a walking tour around its most treasured attractions, including the Dormition Monastery, the Monastery of John the Baptist and the Trinity Monastery of St. Sergius. After break for lunch (not included) you proceed to chak-chak museum. Here you learn the secrets of making the traditional Tatar sweet. You are also invited for tea drinking with chak-chak, baursak and Tatar pastila. After the tour you board a train that takes you to the final destination of your trip - Moscow. Breakfast and chak-chak tasting are included. Early in the morning your train arrives in the legendary capital of Russia - Moscow. Your driver meets you at the train station and takes you to your centrally located hotel for check-in and breakfast. Later in the morning you meet your guide at the hotel lobby and walk to the Kremlin territory where you have a chance to explore the gems hidden behind the Kremlin walls such as the Cathedral Square and the Assumption and Annunciation cathedrals. After a short break for coffee you take a walk through the beautiful Red Square, go inside the colorful St. Basil's Cathedral and explore the famous GUM department store. After the tour you walk back to your hotel and have the rest of the day free. Following breakfast you meet your guide and driver and enjoy a tour of the world-famous treasure trove of the Russian fine art, the Tretyakov Gallery, where you have amazing time viewing the gems of its collection, including the famous masterpieces of Ivan Aivazovsky, Mikhail Vrubel, and Viktor Vasnetsov. After the tour of the Tretyakov Gallery you have a quick subway ride to explore the most beautiful stations of Moscow Subway, which is known to be one of the most beautiful and efficient metro systems in the world. Then you see the spectacular Cathedral of Christ the Savior and learn the story of its destruction and reconstruction. Today you also have a chance to enjoy one of the best city views at Sparrow Hills and see the grand building of Moscow State University, the highest of seven Stalinist skyscrapers of Moscow. This is the final day of your amazing Trans-Siberian train tour! Following breakfast you check out from the hotel and your driver transfers you to the airport for your flight back home. We wish you a safe flight and hope to work on your future trips! Optional post-tour extension: Continue your journey further to the legendary Venice of the North and the brilliant Northern capital of Russia - St. Petersburg. Contact your travel specialist for details. Not included: international flights, other meals not mentioned in the program, optional tours and services, gratuities and all personal expenses. Note: Departures are guaranteed with minimum 8 travelers. If a particular departure will not gather the minimum number of participants, the closest alternative departure dates or program will be offered. Confirmation of departure will be issued 4 months prior to the tour start date. Note: Due to specific travel arrangements and train departure times depending on the schedules of Russian and Mongolian Railways, the itinerary may be subject to change. Note: Single travelers rate covers transfers and hotel accommodations for single occupancy. Please let us know if you would prefer to have single supplement for train cabin as well. Journey across 2 continents along Trans-Mongolian railway from Moscow to Ulan-Bator. 2020 departures of the 14-day small group tour program are available for booking. Contact our travel specialists for details. There was a surprise at every corner!